Nowadays, everything is about green technology or efficiency. We have cars like the Toyota Prius and Chevy Volt which both produce far less emissions than your average passenger car. These cars are great solutions to the environmental problems that we currently face as a society of consumers. However, we have yet to design a car with the perfect blend of aerodynamic efficiency and mechanical competence. But now we are one step closer, thanks to nature. In trying to design the car of the future, engineers have looked to the greatest scientist of all for help- nature. Nature has been designing creatures with great aerodynamics for millions of years. Engineers set out to copy evolution’s design. 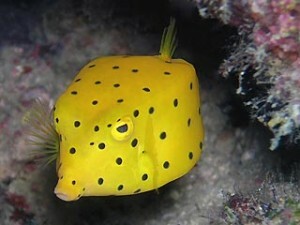 Their chosen model: the boxfish. Despite its generally boxy shape, the fish is actually incredibly streamlined. While we think efficiency comes from beautifully curved lines and low profiles, nature has proved us wrong. Engineers constructed a model of the fish and placed it in a wind tunnel. The drag coefficient was an amazing 0.06. Most sharks have a drag coefficient of 0.1, so why do we keep designing cars that look like sharks?! Designers created a 1:4 model of a vehicle based on the boxfish’s square lines. Upon testing the model, they found its drag coefficient to be 0.095. Such a low number is unprecedented among automobiles. Mercedes-Benz built a “bio-car” based on these new discoveries. Upon completion, the car’s coefficient of drag was 0.19. This number is very low, especially for a car of the size. For purposes of perspective, the coefficient of drag of a Jeep Wrangler is about 0.58. 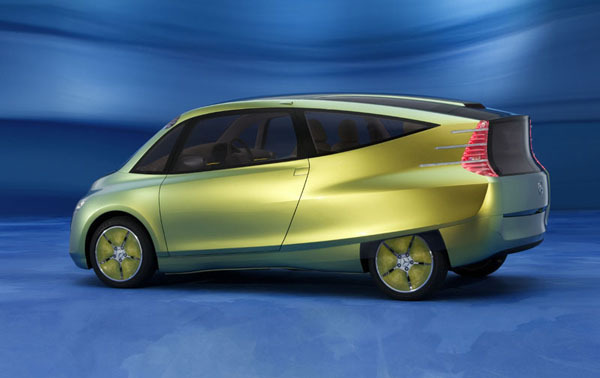 The car’s light weight and incredible aerodynamics allow it to consume about 20% less fuel than the average compact car. It also produces about 80% less nitrous oxide! Tests have put the car’s fuel efficiency at around 50 to 70 miles per gallon. The vehicle requires no special fuels, such as electric cars; it runs on readily available biodiesel. The car has room to seat four comfortably and still carry ample cargo. The only problem so far: it’s ugly and it looks like a fish. Stephen, I like your sense of humor! Also, I learned something from your post: I had no idea the car was inspired on the box fish!